You witness science in action every day you check the weather forecast. By observing barometric pressure, humidity, temperature, the movement of high- and low-pressure systems, and other factors, meteorologists can make reasonable predictions about future weather conditions. 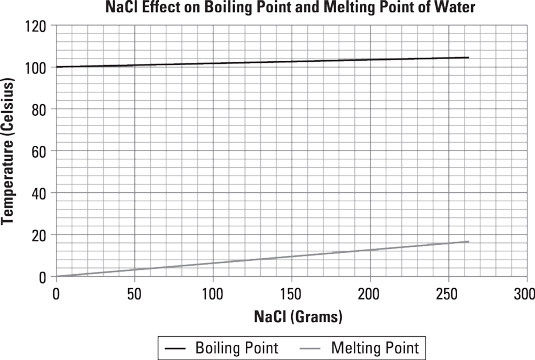 This graph shows the effect that adding salt to water has on water’s melting and boiling points. One teaspoon of salt is 6 grams, and 1 kilogram of water is approximately 1 quart. What percentage of the offspring is likely to have flat leaves? No. According to the chart, John would need to add more than 250 grams of salt to the water to raise its boiling point 5° Celsius. That’s more than 41 teaspoons of salt! You may have to do a little math in your head to answer this question. Only 25% of the offspring would be expected to have flat leaves. 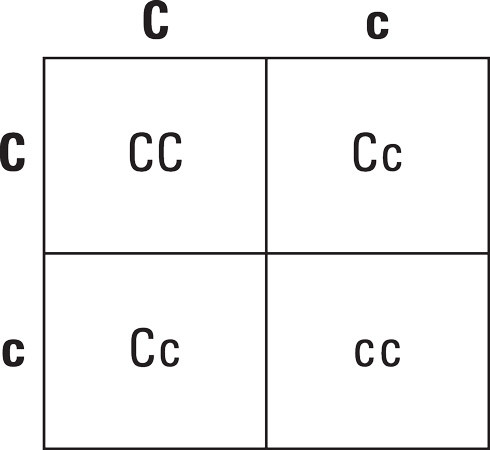 Because “C” represents the dominant gene, both “CC” and “Cc” offspring would have curly leaves. Only “cc” offspring would have flat leaves.